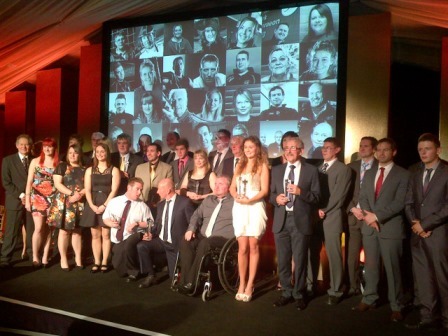 Nominate Welsh sporting heroes and community role models in the new Welsh Awards. Wales now has a brand new event to showcase and promote the very best of Welsh sport. From the very highest elite achievements to the most dedicated grassroots volunteer, the stage will be shared to tell the sporting story of Wales like never before. For the first time, Sport Wales will team up with BBC Cymru Wales and bring together the Sport Wales Coach of the Year and BBC Cymru Wales Sports Personality of the Year awards into one event to celebrate Welsh sporting achievement. The combined event will be held on Monday, December 9th 2013, at the Sport Wales National Centre, with the BBC Cymru Wales Sports Personality of the Year and Sport Wales Coach of the Year among the prestigious prizes that will form part of the Wales Sport Awards. The awards include numerous categories for the public to nominate their favourite community and elite sporting heroes, and an expert panel of judges to decide the overall winners. The BBC Cymru Wales Sports Personality of the Year prize will continue to be decided by a public vote for the six top performing finalists chosen by a sporting panel. In the same way you have in the past, please look over the categories and nominate the individuals you know have made an outstanding contribution to Welsh sport in the last year. Sport Wales need your help to tell clubs and your friends and colleges about this fantastic opportunity. The chance for someone from your sport or area to receive recognition at an event like this will be cherished for a lifetime. Nominations close on Sunday October 13th – make sure you don’t miss out…..an outstanding individual needs someone to nominate them or they will not get the recognition they deserve. If you are using social media use the hashtags #WSA2013 or #GCC2013. If you require any further information or have any questions email Sport Wales on information@walessportawards.co.uk.